We are offering Tank Vessel. We offer storage vessel that serve varied purposes in diverse industrial areas. They can be used for storing liquids and other important residues that have to be recycled. These storage vessels are made of high quality steel and have high tensile strength. Liquid products must be stored during intervals between production, transportation, refining, blending and marketing. 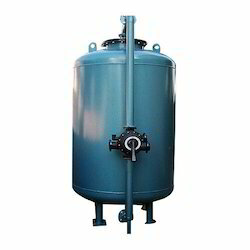 Vats & Vessels fabricates Storage Tanks as per your requirement. - Constructed of 316 stainless, 304 stainless and MS. 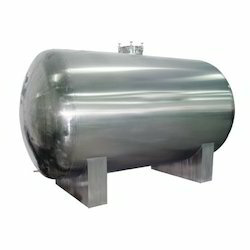 Manufactured using mild steel and stainless steel, our range of Pressure Vessels are appreciated for their quality and robust construction. These are designed to hold liquids and gases at a particular temperature & pressure that is unlike the atmospheric pressure. Our products are also reckoned for their dimensional stability, durability and ability to resist corrosion. Our company is a designer and the manufacturer of a wide range of Storage Vessels which are used in various industries for a range of purposes. We make use of the best raw materials available in the industry which has been procured from well known vendors in the market who are highly reliable in the market. Backed by a team of experienced and well-trained professionals, we are involved in manufacturing, exporting and supplying Storage Vessels. Made available in numerous specifications, these ruggedly constructed tanks and vessels are massively acclaimed. Before the final transmission, these are checked for their flawlessness.